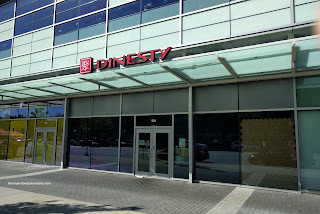 At one point, I was convinced that Dinesty had one of the best XLBs in town, if not the best. That could still be partially true, yet on my recent XLB crawl in Richmond, there were better choices. 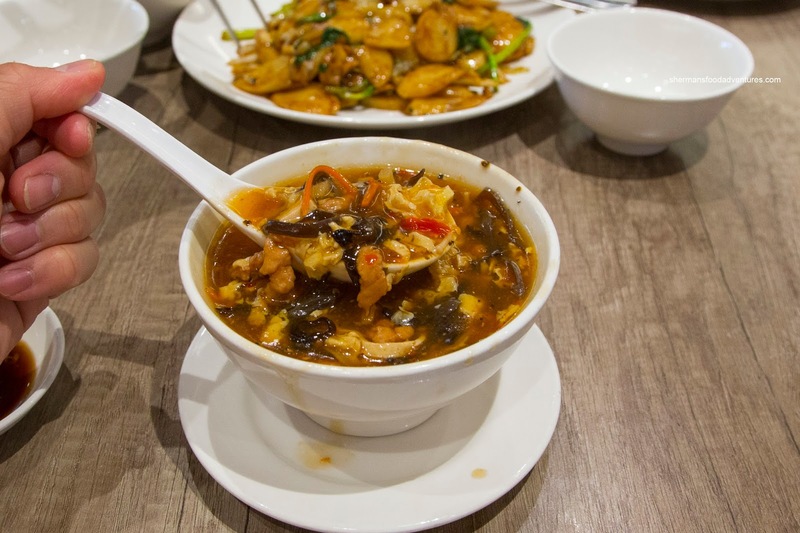 In terms of their other dishes, I found them to be generally pretty good. Now as a restaurant chain begins to expand, consistency becomes more and more elusive. 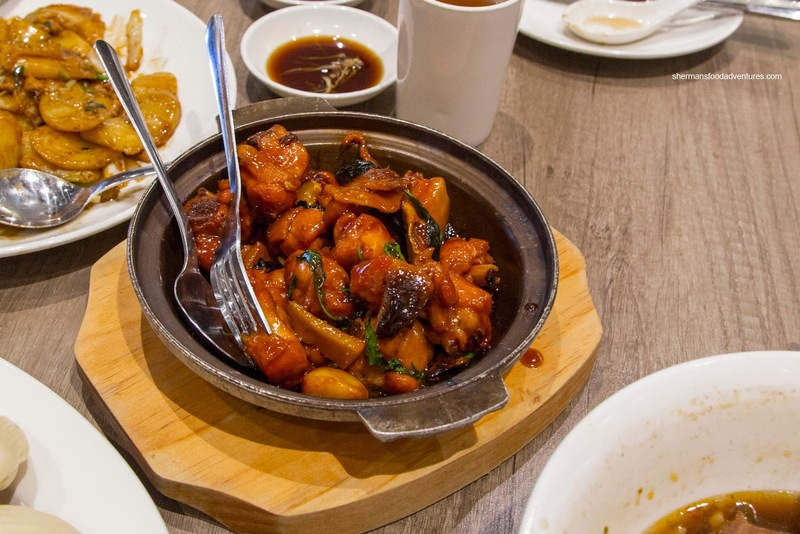 This is especially true with all forms of Chinese food (other cuisines as well, but in this case, we're talking about Shanghainese/Taiwanese), when there is a whole lot of "feel" to the cooking method rather than formula. We tested this theory out by visiting the newly opened Burnaby location on Kingsway. 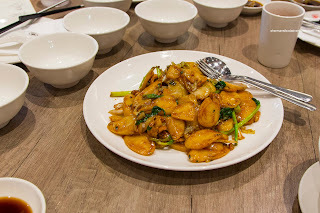 The first dish to arrive was the Shanghai Stir-Fried Rice Cake. It was glistening due to the liberal amount of oil used to keep it from sticking to the wok. As much as there was evidence of wok heat and caramelized dark soy, the actual sliced rice cake was overcooked. No longer did it exhibit the classic chewiness, rather, it was soft and nearly melting in texture. I don't think I've run into this as long as I can remember. Next was the small portion of a Hot & Sour Soup. I found the colour to be rather pale, but the flavour was far from bland. In fact, there was an unbalanced amount of vinegar which made the soup too sour. I did enjoy the spiciness though. There was plenty of ingredients such as wood ear mushrooms, tofu and pork. However, the pork did not retain any meaty chewiness. Presented in a big bowl, the Beef & Tendon Noodles were indeed well-portioned. I found the broth rather flavourful yet missing a bit of depth at the same time. The slippery noodles were on point being al dente. 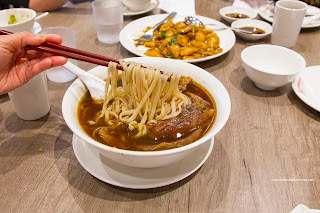 I enjoyed the slices of beef shank as they were meaty and fall-apart tender. The tendon was unfortunately in small pieces, albeit, completely soft. 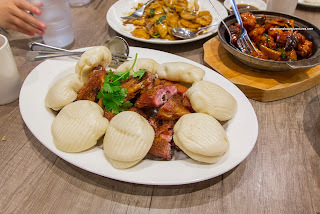 Due to a past positive experience with the Tea-Smoked Duck at the Robson location, we got an order here as well. I guess consistency is actually an issue with different locations as this one was not very good. Although the skin was crispy and well-rendered from the deep-fry, the duck meat was dry and stringy. There was a noticeable smokiness to the meat as well as plenty of saltiness. On the other hand, the 3 Cup Chicken did not suffer the same fate as the meat was succulent and super-tender. It was bathed in a sauce that had a balanced amount of sweetness and tang. This would've gone well with a bowl of rice, if we had ordered any! 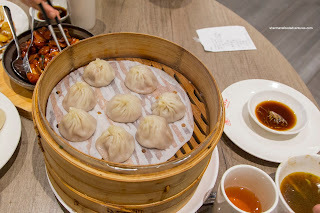 Since the kiddies have developed a love for Xiao Long Bao, we got 2 steamers worth. Good call as the kiddies ate one steamer between the both of them. 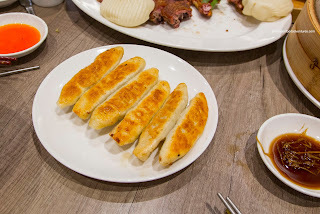 Exhibiting the classic thin dumpling skin with only a touch of doughiness from the top twirl, these XLBs were decent. Much like the Richmond location, the meat was on the grittier side and very loose. There was a decent amount of soup inside which bordered on salty, but was still balanced off by sweetness. Our last dish was the Potstickers which featured a medium-thick dumpling skin. The bottom had been crisped up where it was slightly crunchy. The filling was a combination of moist pork and cabbage. I wouldn't say these were good or bad though. I just may ordered something else instead like the pan-fried pork buns. 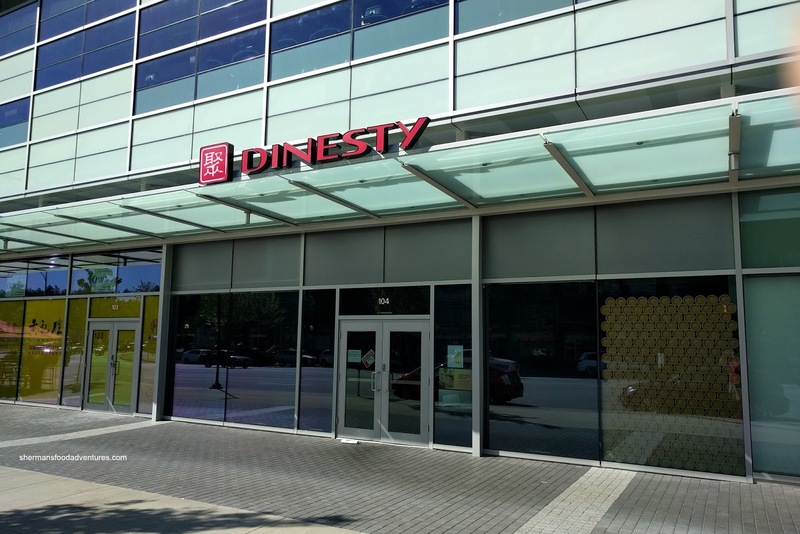 So as you can see, the food at the Burnaby location of Dinesty is average at best. Could it be that it is new and still needs to work out the kinks? Possibly, but consistency seems to be an issue.